A total of 100 Aragonese companies applied this year for the ‘Aragon, Company and Future’ Awards under the categories of Talent, Innovation, Internationalization and Social Responsibility. HydraRedox Iberia was one of the finalists, in the Innovation category. 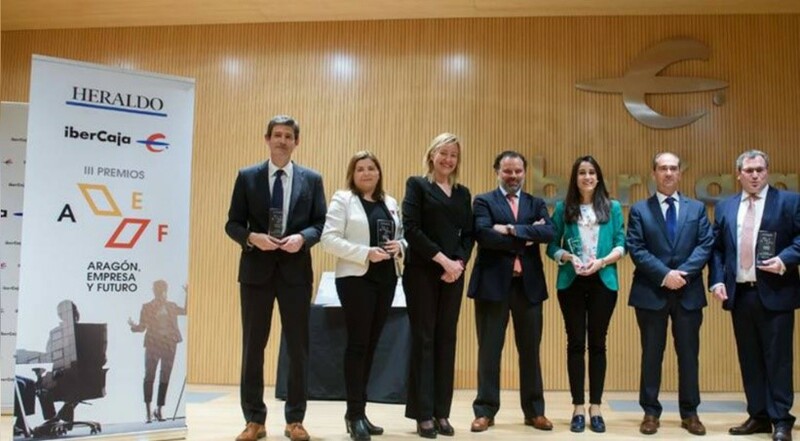 The event, organized by Ibercaja and Heraldo de Aragón, was attended by the Minister of Economy, Industry and Employment of the Government of Aragon, Marta Gastón, who told the media “how important it is to recognize our business fabric, this cluster of companies. We must congratulate the winners, and credit them for doing things well, being successful in business management and for being references “. The Awards ‘Aragon, Company and Future’ is a contest held annually with the main objective i to recognize the efforts of those Aragonese companies, which, in the last few years, have seen their efforts come to fruition in key activities for business growth.